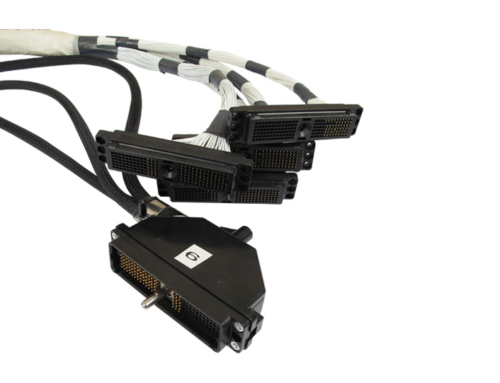 Open bundle harnesses are open and accessible, making them the preferred design if repairability is a consideration. This style of electrical wiring harness does not have an overall protective covering as closed bundle harnesses do. 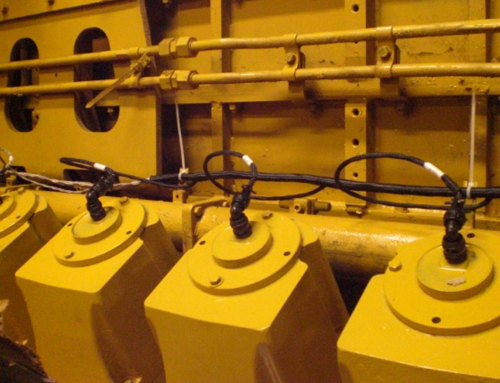 Because there is no external braiding, sheathing, or covers over the wire jacket bundles, backshells, or connectors they can be repaired and or replaced if needed. 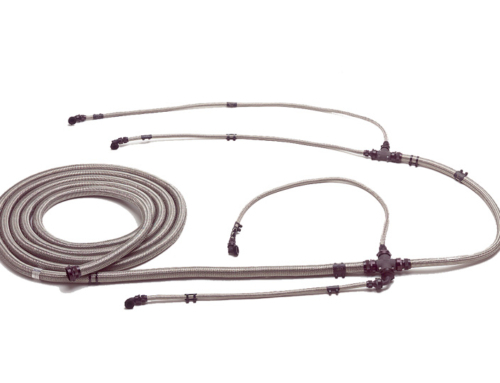 This makes open bundle wire harnesses fully repairable and very cost effective. Being able to reuse serviceable components and only replace those parts that show damage is far more efficient from a repair standpoint. This design helps prevent having to discard a damaged harness due to an individual component’s failure, however a certain degree of durability is sacrificed. For applications where durability is a concern (beyond the protection offered by the cable jackets), specific locations of the harness can have additional protection installed – such as chafe guard or other protective coverings at key points along the harness branch. 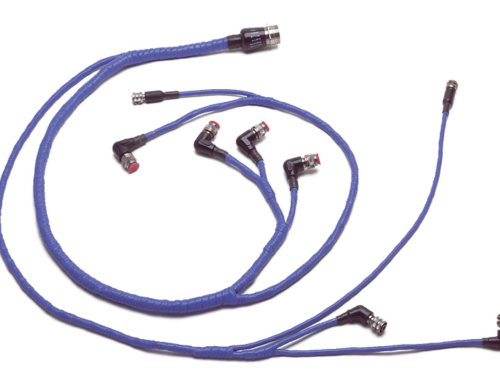 Depending upon design requirements, harnesses are manufactured in a “straight lay” or a “twisted cable” layout. A straight lay makes it easier to replace (or re-string) the electrical cables, but this limits the harness flexibility. 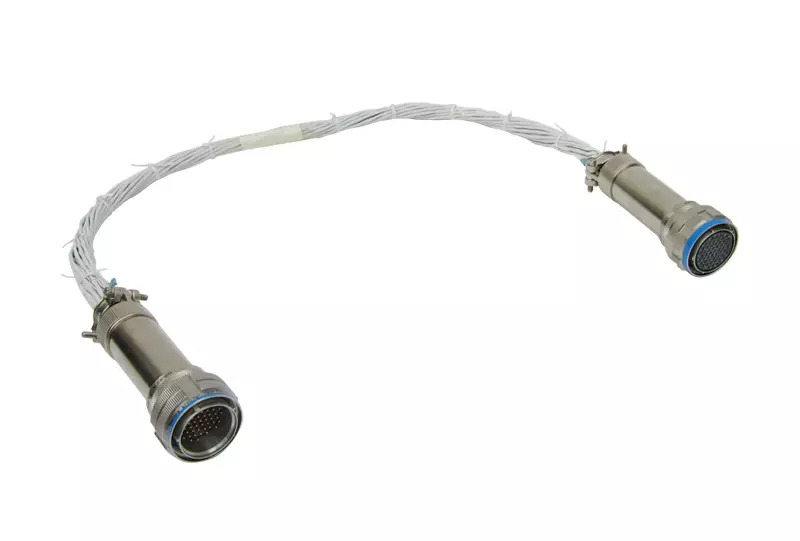 Twisted bundles allows for greater flexibility for routing, such as tight locations on an aircraft engine. 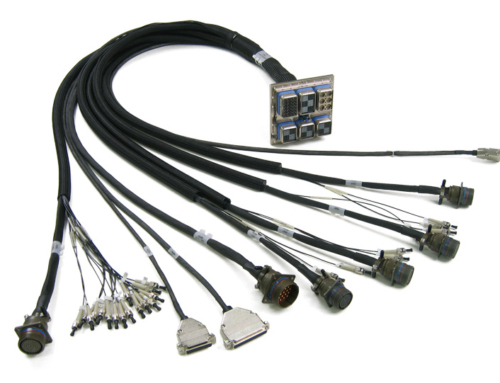 The open bundle harness design is common for signal and communication harnesses and can be found on gas turbine engines, nacelles, and airframe fuselages.